For a decade, an elite team of intelligence and military operatives, working in secret across the globe, devoted themselves to a single goal: to find and eliminate Osama bin Laden. 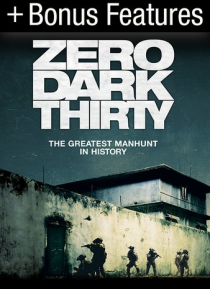 ZERO DARK THIRTY reunites the award-winning team of director-producer Kathryn Bigelow and writer-producer Mark Boal (THE HURT LOCKER) for the story of history's greatest manhunt for the world's most dangerous man. INCLU… DES 4 BONUS FEATURES.